It’s Michelle and I this week, reminding you that there are only 5 shopping days until Christmas!! That’s right, and what do we want more than anything?!?! Well, I mean besides Edward Cullen standing under the mistletoe. More time in the day to read…. Am I right?!? So what happens to our reading time? We have to put our beloved fics/books on hold. (weeps gently) I even put my Outlander reading on hold! Yet, I keep bookmarking new fics to read. By the end of the holiday season, I’ll have added a gazillion more fics to my To-Be-Read list. Wrong Number by the lovely bornonhalloween. This story is short and already complete. So it’s great if you get a little bit of free time and you don’t want to start a long, multi-chapter fic. 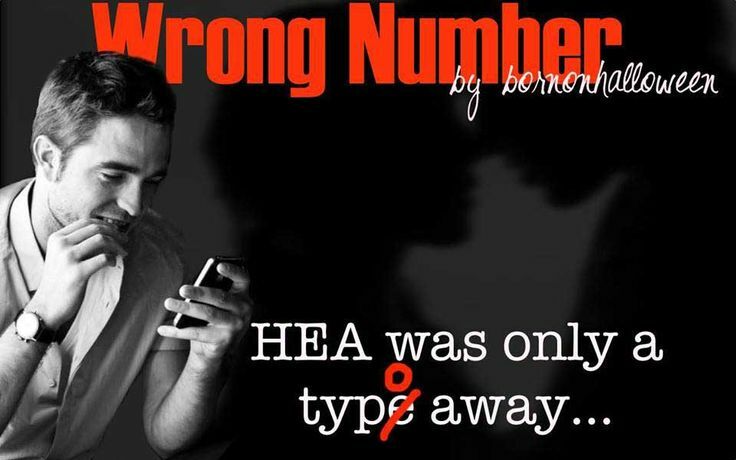 Summary: A wrong number dialed in a panicked moment might just lead to HEA. Edward/Bella, sweet and fluffy with a dash of humor. Angst…why do I love thee? Here’s a new fic by the sweet myonlyheroin. A Deep Slow Panic looks like it’s going to be one a heartbreaker. How someone so sweet can write such angst is beyond me, but I’m looking forward to it. Summary: NM AU—It has been two years since I left her behind. Two years to the exact date. My chest rises and falls in fast succession as her heart beat thundered against my ears. She’s here, I’m here and dark anxiousness sets in. Will this be our final undoing? Woot! Another supernatural/AU story. Based on my love of her other fics, Rare Purity by Ta Paixao looks like it’s going to pull me in big time! Her writing style is pretty bold and gritty. Cannot wait to get started on this story. Summary: Every communicable disease, every illness contracted by humans has soiled the blood supply a little further. Vampires seek only the purest sources of untainted blood. And among the highest order of the undead, a rumor persists of a superior race of human—a rare mutation that renders them immune to illness. In Forks, Edward Cullen finds the proof in a peculiar girl. Just adding these three new fics has pushed my TBR list over 200 stories waiting to be read. Seriously folks, how can I get a job that pays me to read?? A big round of applause goes to Iris (@MariahajilE) and TFFA staff for all their hard behind the scenes work to recognize so many dedicated and loyal fandom writers and fans. We’re gearing up to post our favorites from 2014, so make sure you check the blog each FanFic Friday so you don’t miss any great stories that you should have on your reading list! Here’s a couple of new holiday fics for you to read. I need to make sure Annie adds them to her Holiday TwiFic Extravaganza page. Nightmare Before Christmas, written by LyricalKris, looks like it might kill me. Kris basically checks in with her readers at the end of each chapter to make sure they haven’t formed a posse to hunt her down is pretty telling. It’s marked Angst/Drama for a reason. But….she promises there is a method to her madness. Plus, if she writes it…I read it. Summary: When Edward’s son died, he took Edward’s heart and soul with him. Even a decade of mourning didn’t seem good enough. But then, Edward met college student Bella who thrived despite her own tragedy. Can Edward’s cold, dead heart beat again? I just came across this holiday WIP during a fic dive. Yay me!! 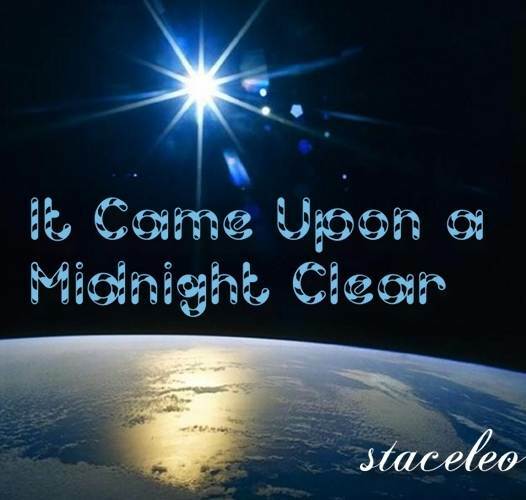 It Came Upon a Midnight Clear by staceleo. Holy cow…staceleo has written over 40 stories for this fandom! And this WIP will definitely put you on the naughty list! It appears that Santa will be getting some lemons with his cookies, if you know what I mean?!?! Summary: Love comes to Miss Swan unexpectedly during the holidays. This is for Suebee to make her smile. << Isn’t that the sweetest gift anyone can give you? A fic written just to make you smile! Thanks Michelle for all of that info and wonderful stories to add to our TBR lists!! I just finished reading the perfect book to get me in the holiday spirit. Mr. 365 by Ruth Clampett (aka Abstract Way). This is a book that she published last year, and gifted it to me. I didn’t get a chance to read it until this holiday. I loved that there was so much more to this story, than just being about a guy who decorates his home with Christmas year round. Both characters want to think the best about each other, but it’s hard when you are shooting a “reality tv show”, that is nothing like real life. It has the perfect amount sweet and spicy, plus there are the true lessons of Christmas about giving more than receiving, and realizing that as hard as you think your life might be, there is someone out there having a much harder time than you. Count your blessings people! Wishing everyone an amazing holiday season!! This entry was posted in Fan Fiction, FanFic Friday and tagged A Deep Slow Panic, Annie's Holiday Fan Fic Extravaganza, bornonhalloween, It Came Upon a Midnight Clear, LyricalKris, Mr. 365, myonlyheroin, Nightmare Before Christmas, Rare Purity, Ruth Clampett, staceleo, Ta Paixao, Wrong Number. thanks for all your rec’s…….enjoyed reading so many of them and continue to do so…..
Had one, added the other to the Holiday Twific Extravaganza. Thanks! Thank you girls, like I said before BT should be in the FFA list and it wld have been a serious contender! Anyways, thank you girls for all the recs, for the amazing job you’ve been doing for us fanfic addicted readers. Have a wonderful Xmas with your loving ones, all the yummy food and booze you can take and … til next Friday! Have a wonderful holiday! And you’re right………..never enough reading time this time of year.